As many of you know Kareem, you know he is a stand up individual, a veteran, and a great person. 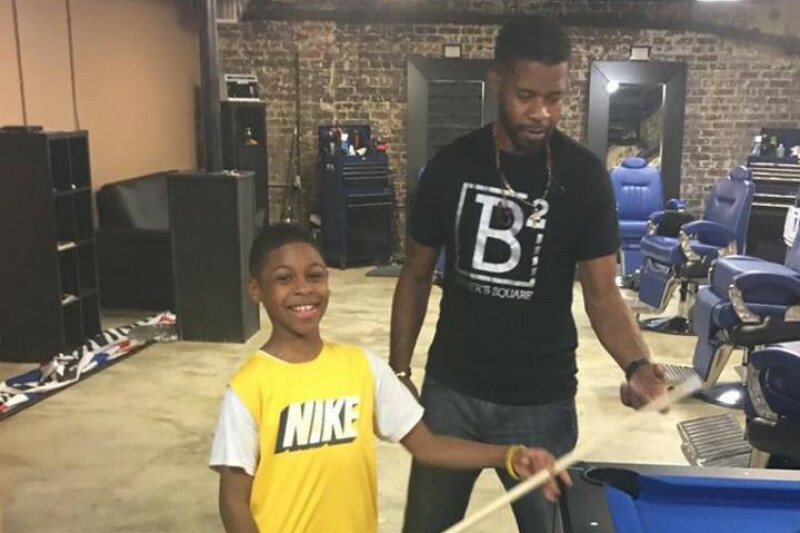 His business, Barber's Square, is a great addition to his close knit community known as NoDa in Charlotte, NC. He is having to close the shop for a while as he deals with this tragedy. He is looking for answers, and will have legal fees as well, as he wants to know why he was never told, as the father, that his sons mother was diagnosed with psychosis a year ago. Please donate what you can to help Kareem keep the lights on at Barber's Square, and to help him find answers. The money raised will go towards his loss of income, funeral expenses for Zamarie, and Legal Fees. With this page, combined with the silent auction fundraiser that Jason Baker recently held this weekend, we really hope to help our friend, and neighbor out. #justusforzamarie Thank you. Sitting with Kareem right now and have distributed the funds minus a small amount for items that need to be picked up and still processing from payments this weekend. Shawn Southard, Live Nation, also suggested giving Kareem the Hornets Package that wasn’t purchased for him and his son to attend in January. He was excited to accept the package and said that KJ would love it. After I reconcile the last transactions and the final couple items are picked up, I will update that all funds are in Kareem’s hands. You are an incredible community! Thanks to everyone that has contributed. With this page, and the Fundraising event that Jason Baker held this past Saturday, we have raised over $11,000 for Kareem! We still would love to make more. We have had a couple of people (and folks from GoFundMe) ask why Jason Baker is the beneficiary. The reason for this is that we are going to combine all fundraising efforts to give one check to Kareem, and Kareem has giving us his blessing to do so. We got to see Kareem last weekend at the event at Canvas Tattoo, and we hugged, cried, and he expressed his thanks and love for the love and support that everyone has shown. THANK YOU ALL SO MUCH! Thank you all so much for your support. We are just about 1/3 of the way towards reaching our goal. Keep spreading the word. I heard from Kareem today, and he told me the following: "Thank you all so much. We had Zamarie's funeral on Saturday. Legal paperwork has kept me from returning to Charlotte, and I don't know if I will be able to make it back before this weekend."